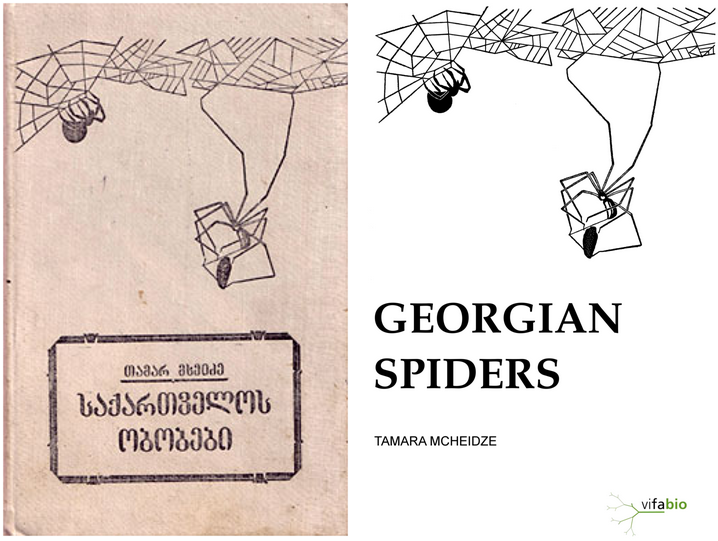 The Caucasian Spiders Database aims at containing all records (published occurrences) of spiders (Araneae) in the Caucasus Ecoregion (the rayons Krasnodar and Stavropol in Russia, Adygea, Karachay-Cherkessia, Kabardino-Balkaria, North Osetia, Ingushetia, Chechnya, Dagestan, Georgia (including Abkhazia and South Osetia), Armenia, Azerbaijan). The database (*.sql.gz) can be downloaded via the links below. Please respect the license that comes with it (see below). I’d love to here from you, how you used the database content! This Caucasian Spiders Database is made available under the Open Database License (ODbL). Any rights in individual contents of the database are licensed under the Database Contents License. Note: ODbL is the equivalent of the CC-BY-SA Creative Commons License. Basically, it means anyone can use the Caucasian Spiders Database for any purposes, make copies and derivations, distribute it, sell it etc. as long as the source is cited (see Citation above) and any copy, derivate, part of the database, product to be sold etc. is distributed under the same license (i. e. the ODbL license).